3.1 – What is an Annual Report? The annual report (AR) is a yearly publication by the company and is sent to the shareholders and other interested parties. The annual report is published by the end of the Financial Year, and all the data made available in the annual report is dated to 31st March. The AR is usually available on the company’s website (in the investors section) as a PDF document or one can contact the company to get a hard copy of the same. Since the annual report is published by the company, whatever is mentioned in the AR is assumed to be official. Hence, any misrepresentation of facts in the annual report can be held against the company. To give you a perspective, AR contains the auditor’s certificates (signed, dated, and sealed) certifying the sanctity of the financial data included in the annual report. 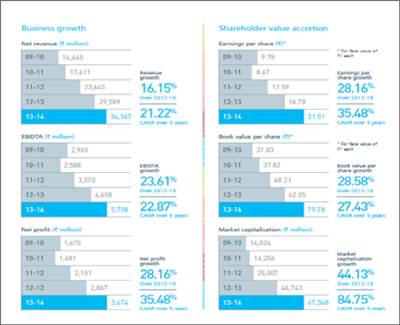 Potential investors and the present shareholders are the primary audience for the annual report. Annual reports should provide the most pertinent information to an investor and should also communicate the company’s primary message. For an investor, the annual report must be the default option to seek information about a company. Of course there are many media websites claiming to give the financial information about the company; however the investors should avoid seeking information from such sources. Remember the information is more reliable if we get it get it directly from the annual report. Why would the media website misrepresent the company information you may ask? Well, they may not do it deliberately but they may be forced to do it due to other factors. For example the company may like to include ‘depreciation’ in the expense side of P&L, but the media website may like to include it under a separate header. While this would not impact the overall numbers, it does interrupt the overall sequencing of data. 3.2 – What to look for in an Annual Report? The annual report has many sections that contain useful information about the company. One has to be careful while going through the annual report as there is a very thin line between the facts presented by the company and the marketing content that the company wants you to read. Please remember, the objective of this chapter is to give you a brief orientation on how to read an annual report. Running through each and every page of an AR is not practical; however, I would like to share some insights into how I would personally read through an AR, and also help you understand what kind of information is required and what information we can ignore. For a better understanding, I would urge you to download the Annual Report of ARBL and go through it simultaneously as we progress through this chapter. Note, no two annual reports are the same; they are all made to suite the company’s requirement keeping in perspective the industry they operate in. 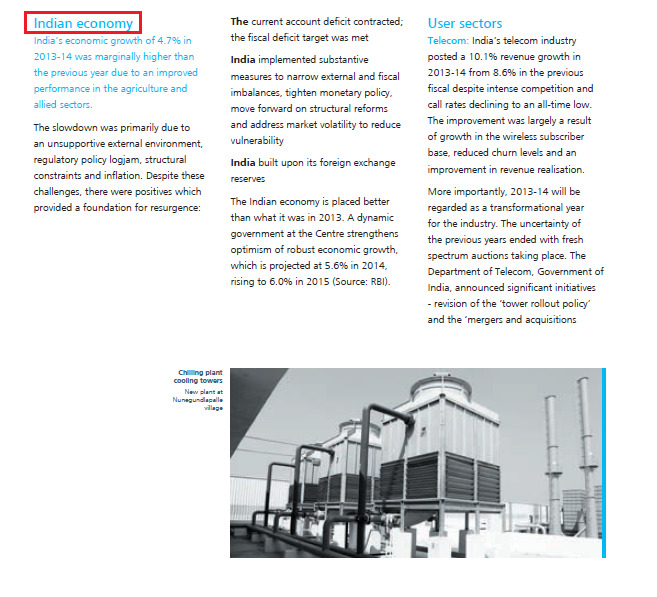 However, some of the sections in the annual report are common across annual reports. The first section in ARBL’s AR is the Financial Highlights. Financial Highlights contains the bird’s eye view on how the financials of the company looks for the year gone by. . The information in this section can be in the form of a table or a graphical display of data. 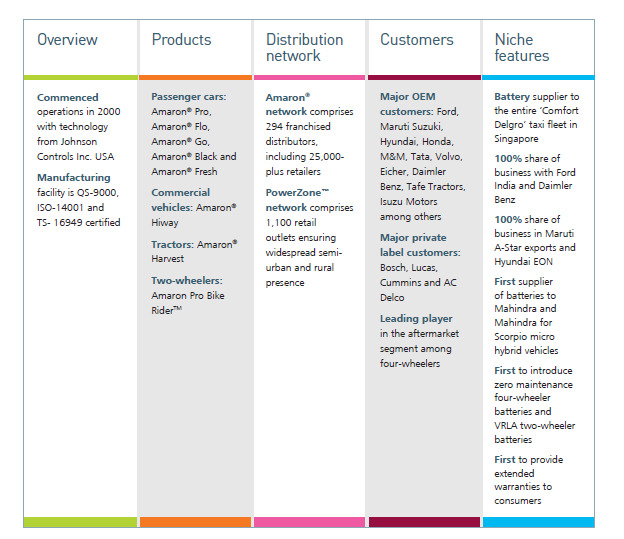 This section of the annual report generally does a multi-year comparison of the operating and business metrics. The details that you see in the Financial Highlights section are basically an extract from the company’s financial statement. Along with the extracts, the company can also include a few financial ratios, which are calculated by the company itself. I briefly look through this section to get an overall idea, but I do not like to spend too much time on it. The reason for looking at this section briefly is that, I would anyway calculate these and many other ratios myself and while I do so, I would gain greater clarity on the company and its numbers. Needless to say, over the next few chapters we will understand how to read and understand the financial statements of the company and also how to calculate the financial ratios. The next two sections i.e the ‘Management Statement’ and ‘Management Discussion & Analysis’ are quite important. I spend time going through these sections. Both these sections gives you a sense on what the management of the company has to say about their business and the industry in general. As an investor or as a potential investor in the company, every word mentioned in these sections is important. In fact some of the details related to the ‘Qualitative aspects’ (as discussed in chapter 2), can be found in these two sections of the AR. In the ‘Management Statement’ (sometimes called the Chairman’s Message), the investor gets a perspective of how the man sitting right on top is thinking about his business. The content here is usually broad based and gives a sense on how the business is positioned. When I read through this section, I look at how realistic the management is. I am very keen to see if the company’s management has its feet on the ground. I also observe if they are transparent on discussing details on what went right and what went wrong for the business. One example that I explicitly remember was reading through the chairman’s message of a well established tea manufacturing company. In his message, the chairman was talking about a revenue growth of nearly 10%, however the historical revenue numbers suggested that the company’s revenue was growing at a rate of 4-5%. Clearly in this context, the growth rate of 10% seemed like a celestial move. This also indicated to me that the man on top may not really be in sync with ground reality and hence I decided not to invest in the company. Retrospectively when I look back at my decision not to invest, it was probably the right decision. Here is the snapshot of Amara Raja Batteries Limited; I have highlighted a small part that I think is interesting. I would encourage you to read through the entire message in the Annual Report. Moving ahead, the next section is the ‘Management Discussion & Analysis’ or ‘MD&A’. This according to me is perhaps one of the most important sections in the whole of AR. 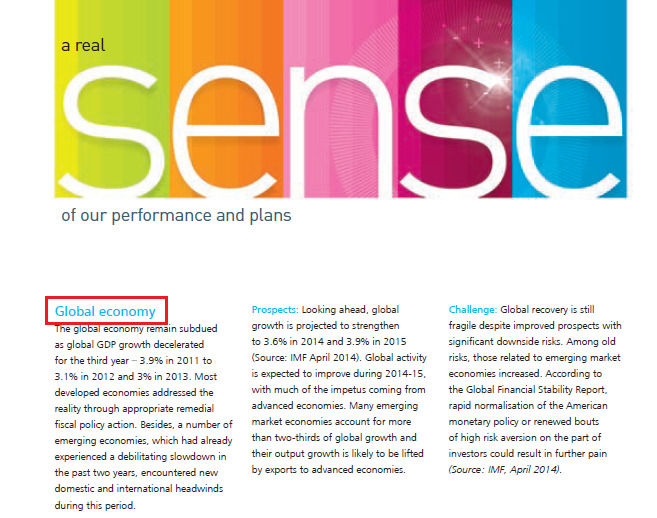 The most standard way for any company to start this section is by talking about the macro trends in the economy. They discuss the overall economic activity of the country and the business sentiment across the corporate world. If the company has high exposure to exports, they even talk about global economic and business sentiment. Following this the companies usually talk about the trends in the industry and what they expect for the year ahead. This is an important section as we can understand what the company perceives as threats and opportunities in the industry. Most importantly I read through this, and also compare it with its peers to understand if the company has any advantage over its peers. 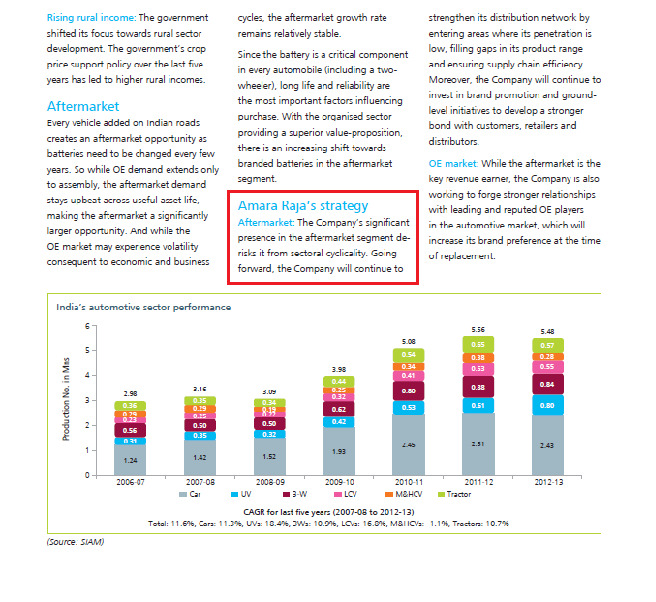 For example, if Amara Raja Batteries limited is a company of interest to me, I would read through this part of the AR and also would read through what Exide Batteries Limited has to say in their AR. Remember until this point the discussion in the Management Discussion & Analysis is broad based and generic (global economy, domestic economy, and industry trends). However going forward, the company would discuss various aspects related to its business. It talks about how the business had performed across various divisions, how did it fare in comparison to the previous year etc. The company in fact gives out specific numbers in this section. After discussing these in ‘Management Discussion & Analysis’ the annual report includes a series of other reports such as – Human Resources report, R&D report, Technology report etc. Each of these reports are important in the context of the industry the company operates in. For example, if I am reading through a manufacturing company annual report, I would be particularly interested in the human resources report to understand if the company has any labor issues. If there are serious signs of labor issues then it could potentially lead to the factory being shut down, which is not good for the company’s shareholders. We will understand each of these statements in detail over the next few chapters. However at this stage it is important to understand that the financial statements come in two forms. To understand the difference between standalone and consolidated numbers, we need to understand the structure of a company. Typically, a well established company has many subsidiaries. These companies also act as a holding company for several other well established companies. To help you understand this better, I have taken the example of CRISIL Limited’s shareholding structure. You can find the same in CRISIL’s annual report. 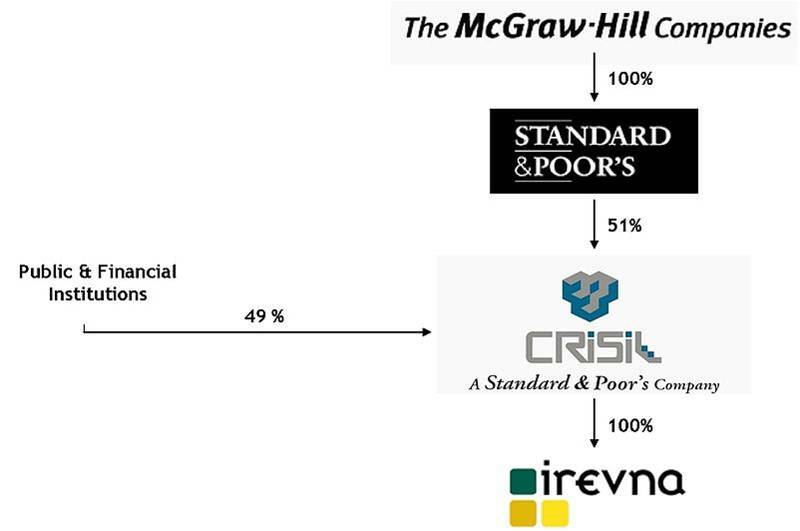 As you may know, CRISIL is an Indian company with a major focus on corporate credit rating services. Further, CRISIL itself fully owns (100% shareholding) another company called ‘Irevna’. Keeping the above in perspective, think about this hypothetical situation. Assume, for the financial year 2014, CRISIL makes a loss of Rs.1000 Crs and Irevna, its 100% subsidiary makes a profit of Rs.700 Crs. What do you would be the overall profitability of CRISIL? Well, this is quite simple – CRISIL on its own made a loss of Rs.1000 Crs, but its subsidiary Irevna made a profit of Rs.700 Crs, hence the overall P&L of CRISIL is (Rs.1000 Crs) + Rs.700 Crs = (Rs.300 Crs). Thanks to its subsidiary, CRISIL’s loss is reduced to Rs.300 Crs as opposed to a massive loss of Rs.1000 Crs. Another way to look at it is, CRISIL on a standalone basis made a loss of Rs.1000 Crs, but on a consolidated basis made a loss of Rs.300 Crs. Hence, Standalone Financial statements represent the standalone numbers/ financials of the company itself and do not include the financials of its subsidiaries. However the consolidated numbers includes the companies (i.e.standalone financials) and its subsidiaries financial statements. I personally prefer to look through the consolidated financial statements as it gives a better representation of the company’s financial position. When the company reports its financial statements, they usually report the full statement in the beginning and then follow it up with a detailed explanation. Of course, considering you may be new to financial statements, jargon’s like share capital make not make much sense. However the financial statements are extremely simple to understand, and over the next few chapters you will understand how to read the financial statements and make sense of it. But for now do remember that the main financial statement gives you the summary and the associated schedules give the details pertaining to each line item. The standalone statement contains the financial numbers of only the company in consideration. However the consolidated numbers contains the company and its subsidiaries financial numbers. In the statement above, I think it must be 1000 crs – 700 crs. the bracketed (Rs.1000 Crs) actually means -Rs.1000 Crs i think ..that’s why the confusion. Yup, all numbers in brackets indicate -ve value. I suppose you can click on the images to enlarge it. Also, we are working on an e-book format, the images will be much clearer in that. If we go through every company AR, They all talk about their future in a positive way about their expansions and investments. How can we segregate companies? Agreed – management is always inclined to talk positively about their company (especially about the company’s future). However a good analyst will be in a position to figure out if the management is being realistic or not. Needless to say, this attribute is a function of experience. Also, always check what the company’s peers are saying in their AR – this will also throw in some perspective. Having said this you would be surprised to know there are companies who are candid about business cycles and the future prospects. Any example of such a company you mentioned above? I am perplexed as there are terms used in the MD&A which i don’t understand, and this is because I don’t know the business. And if i ignore them, i’d just be looking at their growth rate figures..
Cant remember of any right now, but I’d suggest you look up the annual reports of few FMCG companies (smaller ones). Thanks for reply. I agreed for your answer. Apart from this how can we choose a sector which will do better in this year or a particular period of time like IT did in early 2000s ? What are the aspects should be considered while doing this ? These aspects clearly help in figuring out which sectors are likely to do well in the future. Very good content posted for us. Undoubtedly a very good learning for new comers(me). Have one question. I am assuming all the companies release their Annual Reports on or before March 31st xxxx. If yes, will all the long term investors invest from April xxxx? If yes, will there be huge volume investing in April? Do we see subdued activity in the remaining months from the long term investors? AR comes out by around April. However long term investors dont really wait for the AR to be released. They prefer to study and understand how the business has evolved over years, which is available in previous years AR. While explaining consolidated financial statement by focusing on the impact a subsidiary has on its holding company. I wanted to know, what would be the consolidated financial statement for the subsidiary company (Irevna, for instance). Will it have a profit or loss ? (keeping Crisil has a loss of 1000cr and Irevna has a profit of 300 crores). Usually the company gives out the financials of subsidiary – at least the basic info like revenue, EBITDA, EBIT, PAT. The best platform to get the details knowledge of finance without paying a penny!Hats off to you guys for this social service.Thanks a lot. Well explained, just the practical useful part, I found the whole chapter 3 very informative from a new entrant point of view. Thanks. Like Annual report from company website where do we get Quarterly reports of a company ? On a quarterly basis we get P&L statement. AR is published once a year. God bless you all for taking this initiative. I have a lot of interest in markets and finance, but also the mental block that these were never my subjects. Have tried to attain clarity from various sources, left almost no stone unturned to seek help in learning all this, but never came across anything so clear and simple. Thanks a lot for reviving my hopes. Glad to hear that Deepshikha! I hope the contents here helps you not in understanding the subject but also identify profitable opportunities. 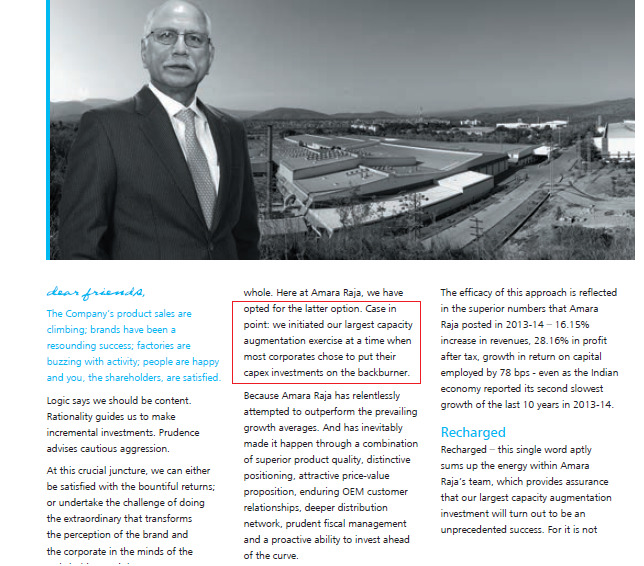 Why has amara raja batteries not published its annual report for FY16 till now. It is 9th of july 2016 and the year ended on 31st March 2016. The contents are really helpful. Are there any other organised resources that one refer to?? There aren’t any, exactly why we started Varsity ! If I want to have Annual report of any company in physical form directly from the company, how can I get it? Also, Is it mandatory for me to be a shareholder in that company at the time of requesting for annual report? You can contact the company to get the copy of the AR, and no you need not be a shareholder of the company to get one. First off all thanks for your effort to make us educate about the stock market. This chapter talks all about how to analyse and do valuation a company. But my problem is that how can I choose a company among thousands several companies. What was your approach when you chose Amaraja? A simple screening technique will help you shortlist companies. You can use sites like screener.in for this! Interesting that you mentioned screener for initial shortlisting, what criteria/filter you put ? However I find it hard to believe that any chairman for any publicly traded company will lie so outrightly about his company. In other words , don’t the companies take adequate measures to ensure that the various facts mentioned in AR are in sync ? He certainly was not lying. In fact, when management makes a forward looking statement, it is a reflection of what they expect out of the coming year(s). In this particular case, the expectations were way too much. By the way, this is not too uncommon – look back at management statements from Suzlon, IVRCL etc. Nope, its a fwd looking statement. regarding primary and secondary markets through Books, websites, PPTs, PDFs. Wonderful article Karthik. Thank you ! What will be some good reading material to follow to study and know about companies for Fundamental Analysis ? You are at the right place to learn about FA. Start here and follow up with companies Annual Report. Ok. Thanks Karthik. Will the company’s annual report be enough to learn about the company..? Awesome articles. I have never found any article about Fundamental Analysis of such simplicity. Thank you very much for your effort. I have one question. How can I make sure whether the management of a company of my interest is good enough to sustain the growth of that company? Is there a place where we can find the exact time of the result release. Every website only publishes the date but not the time of release. Not sure if this is reported anywhere. So, we keep looking at the stock price for break-out, confirming the results 😉 ? What is Indian equivalent of SEC filings in the US. I ask because in US , AR are jazzed up compared to SEC filings. Please advise. Nothing as of now, we just depend on the AR. Articles are good. I am going through it one by one. Are you having downloadable ebook. As I am new to market I have started to read this articles as per index. But I feel it is better to learn first fundamental then technical. You should have given fundamental topics first and technical articles afterwards. What you think, I am correct or I should understand first technical analysis first. Once again thanks for providing this easy to understand and assisting to gain the knowledge of market. In the last snapshot, how is the subscribed capital more than the issued capital? Where does the money raised from series-A and series-B funding add up? Does it add up in the issued share capital or paid-up capital or neither? Where does the money raised from series-A and series-B funding add up? Does it add up in the issued share capital or paid-up capital or neither?? Why is issued share capital more than the paid-up capital? Are all paid up shares also issued shares? can we have a chapter on valuation of companies pls? CRISIL making 1000cr losses!!! CRISIL is fundamentally very strong.The hypothetical example was way too much :). Thanks for yet another lovely chapter. Ah, note 2 is talking about the share capital, which is basically core to the share holder’s equity. Gives you information on authorized capital, issued, subscribed capital etc. Dear Karthik. Hats off to your efforts in bringing an article so easy to understand on how to read an AR. I am deciding to invest my money in equity but I see so many companies with good financials that I couldn’t finalize where to invest in. I am 23 years, working in a PSU and very much interested in personal finance. It was Zerodha only from where I took entry in share market, a place where money can me made at the highest rate possible in current scenario with heavy risk. I lost some money during initial days in day trading and then I realized it is very important to gain substantial knowledge in this field to save the capital. Then I saw VARSITY!! I fell in love with it when I read it just for the first time. I have committed to myself without adequate learning, I won’t swim down. Thanks for helping me in my process of being a good swimmer!! Vicky, I’m so happy to hear this! Usually when quarterly result gets published the share price changes accordingly. In this case how can we benefit from reading the annual report? In case of Quarterly results, you need to be in a position to understand the quarterly numbers keeping the numbers stated in the AR in perspective. How can we get the quarterly result publishing date of all the companies listed in stock exchange? You will have to keep a tab on the company. The dates can vary across companies. The annual reports of only last 5 years are available in NSE website. Where can one find the reports since the beginning of the company sir ? Check on the company’s website itself, the annual report will be under the investor’s section. Sir that’s what I thought too. I was researching company called NATCO Pharma. Looks like it was listed in 1995. But even in the company’s website I couldn’t find the annual reports before 20011-12. Can you please help look into it and help me? Thanks in advance. In case of consolidated and standalone financial statement, if a holding company is making a loss and subsidiary is making profit such that the consolidated statement is ends in profit, doesn’t that mean the holding company is not performing well?In this case if we look at the consolidated statement and if it looks attractive (profitable- only because of subsidiary company) ,then can we invest in holding company? Or instead we should invest in subsidiary? or neither of both? Kindly answer clarify my doubt. Sorry, I seem to have missed your query. You can choose to invest in the subsidiary. However, I really don’t think it would matter especially if the holding company has no other investments. I can think of Coramandel Fertilizers and EID Parry as an example here. Where can I get the sector details? for example which sectors are performing well now and which are not performing well in the current year? Which sectors will be good and not good in the year ahead ? Could you please tell few websites wherein I can know these details. You can look at the sectoral charts to get an update on the overall sector performance. This is a fair indication of how things are moving in the sector. Where can I get sectoral performance details? Any website are there to indicate sectoral performance? Thanks for useful update . Sure, will try and upload this. Thanks. Where can I find that when mutual fund bought the shares of particular company? For example particular company bought reliance shares in the month of jan_2017 .Where can I get this details. The fund house itself updates this information on the fund’s fact sheet, this is available on the website of the fund. In this case I need to check every fund that if any of those had purchased particular company .but practically it is difficult. I agree, hence this is best does as a once in a quarter task. Let me first express my thanks for sharing this info in a very simple and easy way. Its very important to read and understand Management Statement’ and ‘Management Discussion & Analysis. The Mgmt might mislead and put a better picture forward which is not actually there or conceal vital information. How do we validate this. True, that is very much possible. Hence, it’s important to read this MD&A of a competing company as well. Companies with similar business landscape will have similar business challenges…and this comparison will help in understanding if the company is misleading or not. Shareholder equity = Reserves & Surplus + Share Capital. This is also called the net worth of the promoters. Thank you for posting a nice info in simple language . 1. How can I know the chairman ,MD ,promoters past records like involved in bribery ,crime etc ? And their life style ? 2. ‘Related party transactions’ and salary of MD ,chairman ,directors where can I find in annual reports of company ? 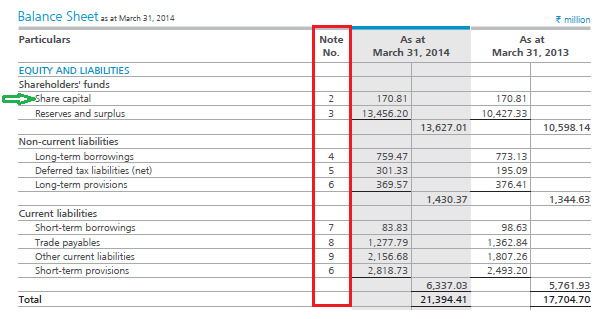 2) Look for the related party transactions in the Annual report. What is exact related party transactions? Is that amounts is subtract from revenue or add in revenue ?? Please describe in detail . Company A paying out Company B (which is closely related to Company A)…or the other way round….. is termed as related party transaction. Ya but if company A is paying out to company B then how can calculate this amount ? Is that minus from company A profit or something else ? You will find a separate section in the Annual Report meant for Related party transactions, I’d suggest you please do have a look at it. 1. Doing deep FA on stocks under 100rs and keep investing in them ? 2. Keep yourself limited to Nifty 50 and invest according to TA ? When looking at the financials for a subsidiary company, should I also factor in the financials of it’s parent company? Let’s say- the subsidiary has been incurring losses in last 2 FY but parent company had impressive figures in their income statement. In this scenario, parent company most likely will rescue it’s subsidiary. Yes, you certainly have to consider the parent company’s financials. I work as an Equity Research Analyst in an IB. You statement on consolidated v/s standalone caught my eye. Umm, as an Analyst, I infact screen the PnL of a company while calculating many ratios so that it doesn’t include the effects of inorganic growth like earnings from its subsidiaries, inorganic earnings due to foreign currency appreciation, one-time earnings and other non-recurring earnings etc.. I usually exclude them and in many cases scale them down so as to reduce the impact of such inorganic growth parameters on the parent company I am analyzing and that is the norm kinda followed across IBs. Amit, perhaps I should have worded this better. Here is another way to look at this – If the company is focused one couple of verticals and has a few products, then chances are that its standalone FS is pretty much consolidated. So in a sense, by taking in the consolidated, you are also accounting for the residual value. Now, if the company is large enough to derive significant value from other subsidiaries (Coromandel and EID come to my mind), then maybe it does make sense to value it on an overall basis. I understand your argument, but I guess the market, at the end of the day values the business in its entirety. Thanks for enlightening it furthur :). Makes sense. I just graduated from b school and have joined this IB. Apologies if what I said was naive or not appropriate. Just entered this field. Happy to learn more from a professional like you and looking forward to learn from other varsity modules as well. Many thanks for these modules! Your opinion is as good as mine. Good luck and I hope you have a glorious career ahead! First of all, a heart felt thanks for the wonderful and lucid article on FA. I was into this FA since 1 year and have tried lot of books and websites (paid as well). However, i can’t remember any one of them even trying to match with the work done here. However, my question, out of the thousands of companies, how do we chose one for FA. I have seen an answer to this as selecting from a screener website (screener.in). Also you said you mentioned about the filter by end of the module. Apoligies, but i could not get this. Can you please help us on this as well on how to pick a company first? May be i missed the filter, can you please enlighten? Once again, thanks for the wonderful article. By filter, I mean a site like screener. You can always start with an industry that looks interesting to you and then selecting companies that fit your criteria. For example, if you like tyre manufacturers as an industry, then look for companies within it – this will narrow down your search from few thousands to few handful of companies. First i would like to thank for such information described in simple manner. Pls share more more information helpful for every one..
What sort of information are you looking at, Nitin? I have a question, where does a company declare its quarterly result first? I mean for example, suppose TCS is going to declare its quarterly result, then where do they announce their result at very first? On their websites they post the result after sometime of announcement, so where do they actually announce result first. They send the results first to the exchanges and then update the same on their websites. Some even hold a press meet to discuss the results. Thanks for replying and clearing the doubt. DO U HAVE E BOOK FOR THIS WHOLE TOPICS OR IN PDF TO TAKE A PRINTOUT , IT WILL BE BETTER TO STUDY. So in the example of CRISIL owning 100% of IREVNA, which statement would actually affect the share price of CRISIL; the standalone one, or the consolidated one?? Its best if you start using a screener for this. You can give your criteria and start filtering out stocks. Check out https://screener.smallcase.com/welcome (paid version) and https://www.screener.in/ (free version). Good luck. Awesome articles ever I loved reading. Thanks for your articles .Your articles are pure gold . In qualitative aspects I know what to analyse but I don’t how to analyse . I’d suggest you check the latter chapters in this module for more insights. I have read all the modules altleast two times. It is pure gold. Varsity takes a nursery student to PhD level. Where can I find a management’s commentary which release every quarterly results ? And what’s its title if it’s available in its website ? Varsity is a gem among the stock market information sites, with simple as well as clear in depth info. Glad you liked it, Shankaran. Happy learning! 1 .is related party transactions is one type of expense ? If yes then where is show in profit n loss statement ? 2.this type of transaction of done from reserve n surplus balance ? 2) From the regular income. Like I said, this information is no included in the financial statement. It’s Just Amazing to read this Lessons I m thoroughly enjoying it’s written in so easy to language that a Layman like me can also Understand it. I have a small Request sir Could u plz add a chapter for “How to read the AR of the BFSI companies” and the important ratios to watch out. I’ll try and put up a chapter on it. I am not able to find AR(Annual reports) of AMARA RAJA Company. Can you again share the link or an Excel or word file. So that we can connect properly with this>?? The link you shared in this chapter is not working. Ah, can you visit their site and look for it in the investors’ section? Thanks. After clicking on the link you provided sir, above written line is coming. Ah, let me check Manish. Meanwhile, I’d suggest you check directly on the company’s website. Fundamental analysis not so easy its all about which positive points we could figured out from balance sheet & directors speech. Sir, why there is difference between the value of financial data of 2017 (in balance sheet of 2018), and financial data of actual 2017 balance sheet. For example in 2018 balance sheet, the financial data of 2017 shows total Assets of 1,16,094 Lakhs, but in actual previous year annual report, financial data of 2017 shows assets of 78,866 lakhs. Why there is difference and which numbers should we consider? Sometime, the management may want to restate the numbers. For this reason, I always look at the current year AR to look at the previous year’s number. Sir, can u post a article on how to read a annual report of Insurance companies. Thank u.
I’ll try and do that, Karthik. You have explained things wonderfully! It’s commendable. My question is related to the example quoted by you above where in S&P held 51% stake in CRISIL. Now, if S&P or let’s say Mc graw hill generate the AR, will they also include whole of the 700cr profit in their AR considering the fact that CRISIL is not a 100% subsidiary of any of them? Thanks for the kind words, Ankit. Yes, they will have to report this in AR. Thanks for sharing so much important information about the AR. Sir you have mentioned that a shareholder can get a Hardcopy of the Annual Report by contacting the company. I have mailed the company’s investor’s relations to send me a copy of the same. I haven’t heard from them and its been more than a month. What do you suggest I do? Sundeep, if you are not too particular about the hard copy, then you can download the softcopy from their website. Look for it under the investor section. Thanks. 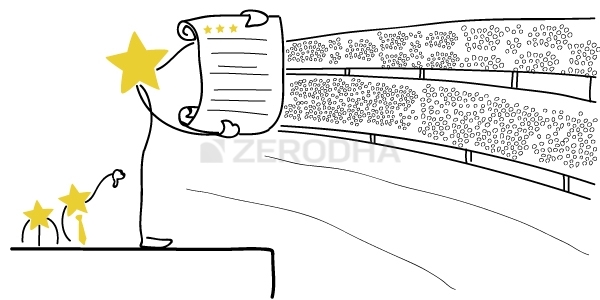 Can we replace annual report from stockreport+ by zerodha?? Nope, Stockreport+ is not really a replacement for the annual report. So what are the actual use of stockreport+, Then it is worthless ?? Can you share any link or discuss on “Accounting policies” – where to get the data and how it manipulates? I think being completely aware of how balance sheet works (explained in this module), will help you deal with this. As a Learner, This is the Best Platform for Learning the whole market and its strategy, your explanation strategy is also unique. Thank you so much for providing this material. May God Bless you, sir. Can we check the annual report of Banks also? I would really like to connect with you and discuss my investment ideas with you. I’m a young, passionate and curious student who is extremely fond of investments and would be grateful to have an opportunity to speak to you. Revant, I’m not sure of if I can devote time to individual queries/investment ideas. However, I can certainly help you with learning related to the subject. Please do feel free to ask however ever queries you have here, on this platform. Thanks. example if there is 2000 in 31st march 2016 then in next year it will show 1800 or 2100? Thats the amount added or utilized during the year. The notes will have the details. Where can I see employees are holding their company’s share or not? I can’t found in annual report shareholding pattern section . If the holdings are less than 1%, then you will not know. Shareholdings higher than 1% will be disclosed to exchanges and will appear in the quarterly shareholding statement. I’d suggest Securities Analysis by Graham.